Thom is an award winning professional and educational lighting and sound designer from New Hampshire. His work has been experienced throughout the eastern US including The Waltz, Godspell, Carrie: the Musical, and Cabaret (The Winnipesaukee Playhouse); West Side Story, The Addams Family, and Footloose (Interlakes Summer Theatre); The 39 Steps (Jean’s Playhouse); You’re a Good Man Charlie Brown, Edges, and The 39 Steps (New Hampton School); A Chorus Line, Floyd Collins, Sweet Charity, and Singin’ in the Rain (Aurora Theatre); Gypsies, Tramps & Thieves, brownsville song (b-side for tray), and Older than Dirt (Florida Studio Theatre). Thom was an educator in Georgia and New Hampshire for 17 years working with students in and out of theatre while teaching technical theatre, photography, and physics. He holds a BFA in Drama from Carnegie Mellon University’s School of Drama, and a MS in Physics from Georgia State University. Meredith earned her BA in Theatre from Roger Williams University, and she also holds a M.Ed. in Social Studies from Plymouth State. Meredith is a true Theatre Jill, having experience in all aspects of Production- from directing, designing, acting to playwriting! She has designed around the state for the Winnipesaukee Playhouse, The Palace Theatre, The Peacock Players, and Jean’s Playhouse. Meredith is a resident Director and Designer at New Hampton School, where she is also the History Department Head. She also has directed for the Young at Art program at the Little Church Theatre. Meredith has over 15 years experience working in youth theatre both in New Hampshire and Rhode Island, where she has taught all aspects of theatre arts to all ages at both at theatre camps and in schools. Meredith is an active adjudicator for the New Hampshire Theatre Awards and the New Hampshire Educational Theatre Guild. She is thrilled to be a part of the Winnipesaukee Playhouse Education Department! Past directing credits include Almost Maine, The Importance of Being Earnest, Exhibit This!,Taming of the Shrew, The Complete Works of Shakespeare Abridged, Table 12, Letter from Birmingham Jail. Past design credits include Round and Round the Garden, Godspell, The Addams Family, Living Together, Almost Maine, The Boy Who Drew Cats, Pippi Longstocking: the Family Musical, Brighton Beach Memoirs,Table Manners, Out of Order, The 39 Steps, Smokey Joe’s Café, Grease, Beauty and the Beast, and Metamorphoses. A newcomer to living in New Hampshire, Lis is very excited to be a part of Winnipesaukee Playhouse this summer. Lis earned her B.A. in Theater and Psychology from Wheaton College. She holds an M.A. in Theater Education from Emerson College. She is currently working towards another degree in special education and credits her theater background for guiding her to find a new academic and professional passion. Lis works at Inter-Lakes Elementary School in Meredith and is very excited to be able to continue working with students throughout the summer months in a fun and new endeavor. Ariel has her BA in theatre arts from Plymouth State University and an MFA in costume design from Florida State University. She is pleased to be back and working in New Hampshire after a brief few years away to earn her MFA. She currently teaches undergraduate courses in theatre at Plymouth State University and does freelance design, patterning, and facepainting work based out of southern New Hampshire. Recent designs include Much Ado About Nothing (PSU, Oct 2017), The 25th Annual Putnam County Spelling Bee (Jean’s Playhouse, July 2018) and Driving Miss Daisy (Jean’s Playhouse, Sept 2017). She looks forward to working with the Winnipesauke Playhouse Education Department! Growing up multilingual in Montreal, Brussels, and California, Sherry has always been a translator who shifts between languages as a way to bring people to a greater understanding of each other. She experiences theatre as yet another form of translation, one that transforms language and movement into emotion. Ten years ago, when her children wanted to act, she followed them to the Winnipesaukee Playhouse, where, ever since, she has been happy to assist backstage with costumes, props, wrangling, and stage management in the Education and Community Theatre departments. Additionally, she has, through the Education Department, led art workshops and taught classes in Puppet making, Costume making, Hula hooping, and Family yoga. Recently, she has been an art teacher for the summer camp, where she loves to witness the growth in children’s critical-thinking and problem-solving skills as they explore their imaginations through multiple creative processes. When she is not at the Playhouse, she teaches yoga and barre classes at The Downtown Gym in Laconia, where she is also a coach in the Rock Steady Boxing program for people with Parkinson’s Disease. She also works online as a freelance author, editor, and translator. For many years prior, she taught World Language and Art classes to children and adults at Lakeland School in Meredith, Parker Academy in Concord, and privately. She holds a BA in Feminist Studies and a BFA in Art from UCSC. She has furthered her studies in both English and Spanish literature at Magdalen College, Oxford; the University of Toronto; Loyola Marymount; USFQ Ecuador; and the MFA program at SFSU. She has additional certification in Legal, Medical, and IT translation, Holistic Health, Acupressure, Massage, Zen barre, Hatha Yoga, Kids yoga, Mindfulness for teens, Yoga for Special Needs, and Trauma-Sensitive yoga. She lives in Gilford with her husband and two teenage children, all of whom continue to appear on the Winnipesaukee Playhouse stage and help out backstage. She is incredibly grateful for their patience and support, as well as that of the entire crew and staff. 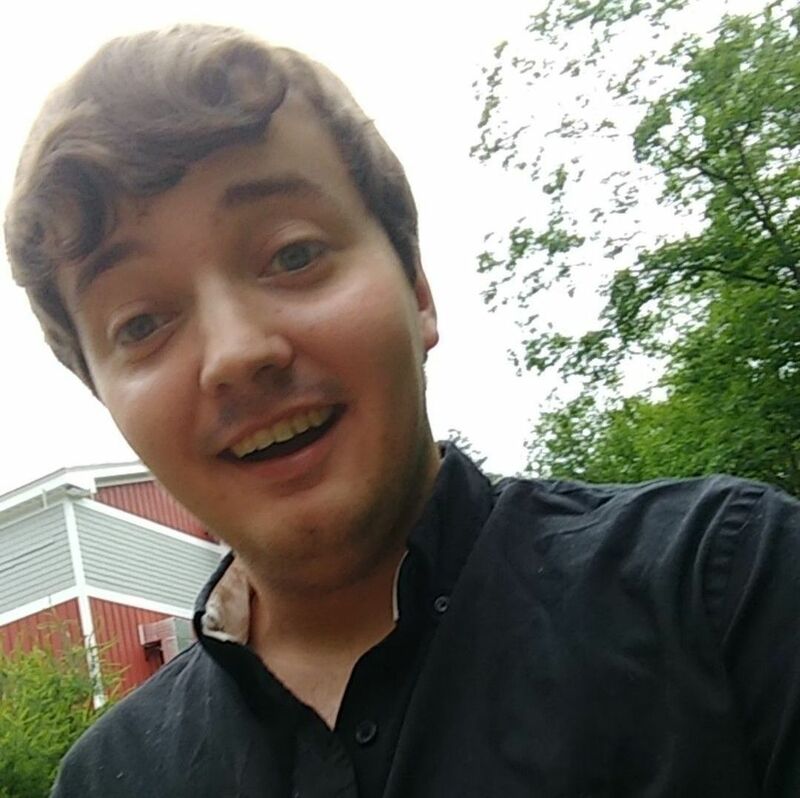 Zach is a graduate of Plymouth State University with Bachelor of Arts in Theatre Arts (Contract Option in Stage Management with a Design and Tech Option in Costuming and Properties) and a Minor in Marketing. He is excited to be returning to the Winnipesaukee Education Department as the stage manager for Jungle Book. He has worked on Narnia and Carrie, as the stage manager. He has also taught workshops for the NHETG. He has worked for the Playhouse for the past three summers and has assisted with some non-summer productions during that time. Becky began her training at Diane's Dance Academy at the age of 3, and then continued with Edgewater Academy of Dance. Her dance studies include tap, hip hop, jazz, modern, ballet, and pointe. Becky served as an assistant teacher for several years before joining Edgewater's teaching staff in 2001. Becky also joined the teaching staff of the Dance Department at Plymouth State University in 2015. She has attended dance intensives and workshops with New Hampshire Dance Alliance, at Plymouth State College, and several hip hop workshops throughout the state, and continues to do so on a regular basis. Becky was a member of Edgewater Dance Company and has won many awards at regional and national dance competitions for her dancing and her choreography. She loves working with the New Hampshire Dance Movement every year to raise money for kids in the community. Becky has also run several dance workshops for Winnipesaukee Playhouse and in 2016 choreographed the Pippi Longstocking: the Family Musical. Becky resides in Laconia with her husband, Wayne, of 10 years and 9 year old daughter, Peyton. She has been the PTO coordinator for Elm Street School for 4 years and loves being involved. Ms. Hayward holds a BFA in Piano Performance from Louisiana Tech University and a Master's degree from the University of Oregon in Arts Administration. With over 200 shows to her credit, she has music directed for numerous theaters, both professional and community, from coast to coast. In addition to music directing, Judy was an accompanist for the award winning Alaska Children's Choir, taught music theory at the Pacific Conservatory for Performing Arts in Santa Maria, CA, worked at the Variety Center for Performing Arts in L.A., and was the Artistic Director for the Pismo Light Opera Theater in Pismo Beach, CA. Since moving to the Northeast, Judy was resident MD for Peacock Players for more than six years, and has also music directed for Actorsingers, The Winnipesaukee Playhouse, Stoneham Theatre, and StageCoach Productions. Along with Timothy L'Ecuyer and Michele Henderson, she is one of the founders of StageCoach Productions. Judy has been the recipient of the New Hampshire Theater Award for Best Music Director numerous times, including The Winnipesaukee Playhouse’s production of The Fantasticks! in 2013. Teghan has worked at camp for the past four summers and is very excited to come back this summer! Having grown up in Meredith, Teghan has partaken in a variety of Winnipesaukee Playhouse shows. You may recognize her from the teen productions of Alice in Wonderland (Alice), A Very Broadway Christmas (Auntie Mame), and Little Shop of Horrors (Mrs. Luce/Ensemble). She was also in the adult community production of Big River, where she played Jo Harper and Joanna Wilkes. She is very excited to make new memories and embark on new adventures as a part of the Winnipesaukee Playhouse team! Timothy has BAs in theatre and English from Keene State College as well as an MA in theatre education from Emerson College. He holds New Hampshire state teacher certifications in both English and theatre and has taught at Merrimack High School, Windham High School and Alvirne High School. He is a past president of the New Hampshire Educational Theatre Guild, an Equity stage manager, and an adjunct faculty member at Plymouth State University. Directing at the Playhouse: The 39 Steps, Red, Grace and Glorie, A Midsummer Night’s Dream, and ​The Rocky Horror Show with the Professional Company and Joseph and the ATD, Treasure Island, The 25th Annual Putnam County Spelling Bee, Romeo and Juliet, Carrie the Musical, Godspell, and The Secret in the Wings with the Education Department. Directing elsewhere: Pippin, Urinetown, Electra, Fahrenheit 451, The Rocky Horror Show, The Laramie Project, Spring Awakening (the play and the musical), Just in Case it’s the Devil, Children of Eden, Godspell, Jesus Christ Superstar, Jane Eyre, The Dining Room, I Am My Own Wife, Proof, and the New Hampshire premiere of Altar Boyz. He has worked with many New Hampshire and Boston area theatres including American Stage Festival, The Barnstormers, theatre KAPOW, Peacock Players, StageCoach Productions, Stoneham Theatre, the Nora Theatre Company, and Underground Railway Theater. Melissa has a BS in Merchandising & Marketing from Framingham State College with a concentration in fashion. She enjoys serving in her community which has led to opportunities to volunteer throughout the Northeast. Some past volunteer activities include work in graphic and visual arts, youth recreation sports, costuming for a children’s theatre group’s production of Cinderella, and most recently at the Castle in the Clouds. She is thrilled to return to her longtime passion for theatre, which began in high school when she helped with scenic design and props. 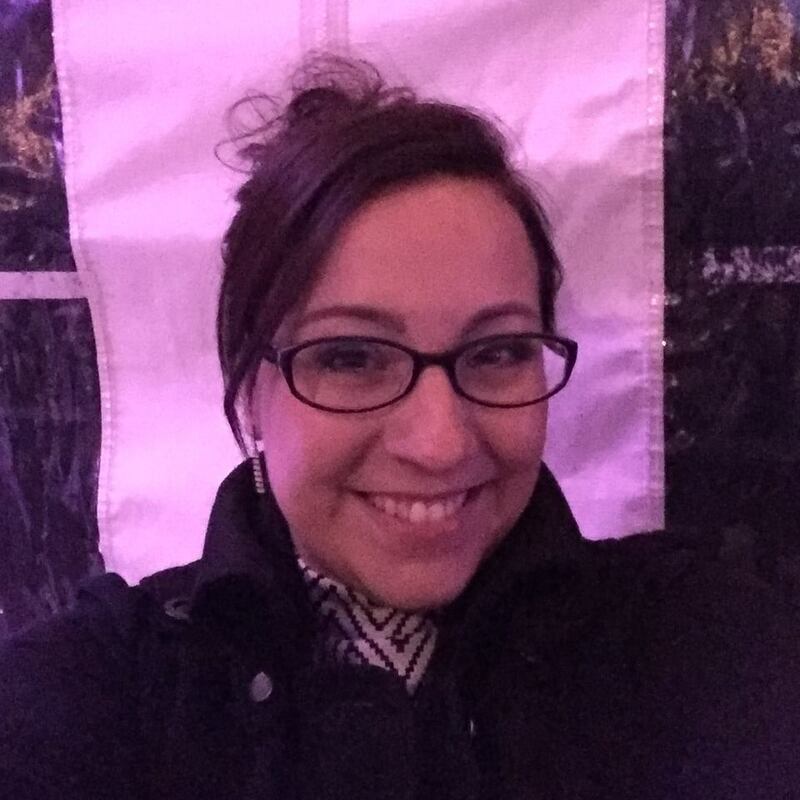 She is thankful for the opportunity to be the Properties Coordinator here at the Winnipesaukee Playhouse and to work with the talented Education Department team. A heartfelt thank you to her family and especially her husband, Scott, for all their love and support. Without it, none of this would be possible. Past properties coordinating credits include Stuart Little, Lord Of The Flies, Narnia, Secret In The Wings, and The Jungle Book. Lori has many years of costume design and construction experience. She has worked in various theaters throughout Connecticut including Hartford Stage, Goodspeed Musicals and Oddfellows Playhouse Youth Theater. She served as Costume Shop Manager at Wesleyan University before relocating. A regular costume designer for the community, education, and professional divisions of the Winnipesaukee Playhouse, Lori has been honored by the New Hampshire Theatre Awards for her work on The Adventures of Tom Sawyer and The Waltz. For the past two winters she was the costume designer for Jean’s Playhouse’s tour of A Christmas Carol. One of the founders of The Winnipesaukee Playhouse, Lesley is a graduate of Wellesley College with a MA in Arts Administration and Cultural Policy from Goldsmiths College, University of London. In addition to marketing for the Playhouse, she has also designed costumes for many professional and community theatre productions. She has twice been the recipient of the NH Theatre Award for Best Costume Design for Two Rooms (2007) and The Glass Menagerie (2008). She is the proud mom to her daughter, Sophie, and her crazy cat, Sasha. Currently a retired teacher, she taught for 37 years in schools throughout the Lakes Region and earned her Master’s Degree from Lesley University in Creativity in Curriculum. Patte has been the director of the drama program for Belmont Elementary School for 30 years. She has also done choreography for Belmont High School, Streetcar Company, and One Light Theater. During the summer Patte enjoys being the Drama Teacher for Camp 1 at the Playhouse’s Summer Theater Camp. She has also directed one of the teen plays for the Playhouse Teen Playwriting project. She became involved in theater in sixth grade when she was cast as Gretel in the show Hansel and Gretel. At the Playhouse she has been seen in Our Town, Momologues, Father of the Bride, To Kill a Mockingbird and The Odd Couple (Female Version). Her favorite part of theater is experiencing the process of a show’s progress to the final product and seeing the cast come together to support each other. A native of Virginia, Emma recently moved to New York City where she works as a lighting designer and electrician. In 2015, she held a summer internship in California at a production company where she designed lights for multiple dance performances. She became the Master Electrician at an outdoor theater in Richmond, Virginia the following year. This past summer she was the Master Electrician at The Winnipesaukee Playhouse and will be returning for another summer. She’s thrilled to be back at The Playhouse as a designer before the summer season begins! Most recently, she designed lights for a production of Crazy For You at Blair Academy in Blairstown, New Jersey. Emma holds a BFA in Theater with a concentration in Lighting Design/ Technical Production from Virginia Commonwealth University. Chris Slater is thrilled to continue to be a part of the Winnipesaukee Playhouse team. Playhouse credits include Director- Diary of Anne Frank, Assistant Director/Stage Manager- Inherit the Wind and Stage Manager-Lord of the Flies, Stuart Little ​and Laughter on the 23rd Floor. Chris is also currently serving as the Secretary of the Winni Player’s Community Theatre Committee. Chris’ credits also include working in various roles for the Gelsey Kirkland Ballet, Academy and ArtsCenter in Brooklyn, NY, as well as serving as Company Manager for US Performing Arts programs in New York City and Washington, DC. New Hampshire credits include Drama Teacher for Lin-Wood Public Schools and Teaching Lecturer for Plymouth State University. He has also served as Stage Manager and Director at Jean’s Playhouse, Stage Manager and Company Manager for the Moss Hart award-winning Educational Theatre Collaborative and Stage Manager for the Emmy award-winning TIGER Educational Theatre companies. 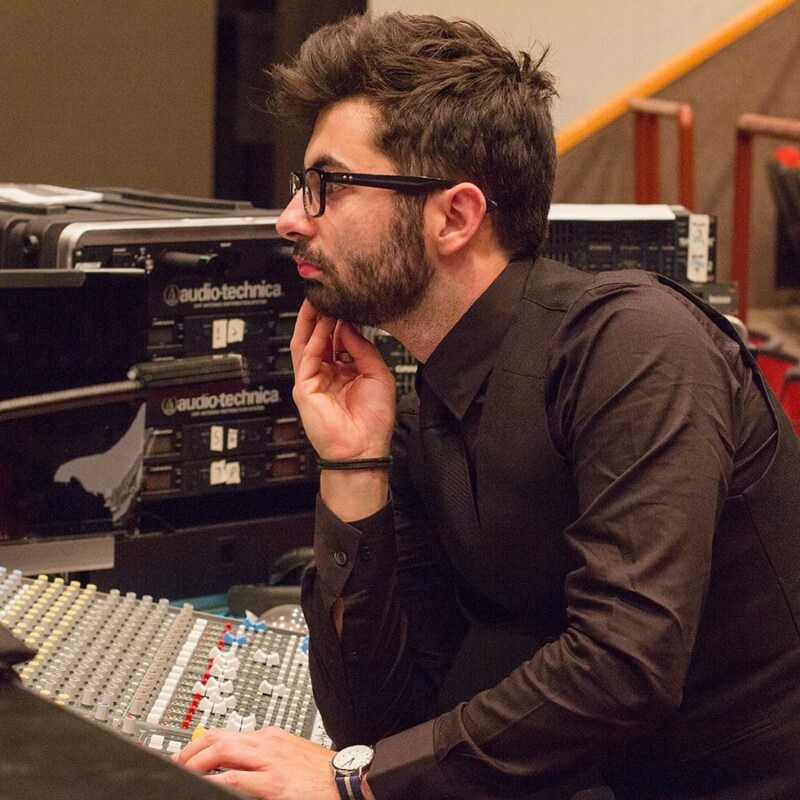 Chris originally hails from Connecticut where he obtained his BFA in Technical Theatre from Central Connecticut State University, but has found his home in New Hampshire for the past ten years. Ashley is thrilled to join the Winnipesaukee Playhouse this fall! Ashley’s training includes studying theatre and dance at the Walnut Hill School for the Arts in Natick, MA. Ashley earned her B.F.A in Musical Theatre from the Cincinnati College-Conservatory of Music. Some of Ashley’s professional credits include performing in the musical Chicago at the Edinburgh Fringe Festival in Scotland, singing with the Cincinnati Pops Orchestra on PBS, and performing at NYC’s Lincoln Center. Ashley traveled the world as the company manager and principal singer for Jean Ann Ryan Productions on Norwegian Cruise Line and P&O Ventura Cruise Lines. Since returning back to NH, Ashley has played numerous roles locally at the Interlakes Summer Theatre. Her favorite roles include Dorothy Brock in 42nd Street, Irene Molloy in Hello Dolly, Fantine in Les Miserables, Cassie in A Chorus Line, and most recently the iconic role of Eva Peron in Evita. Ashley is the proud owner/director of The Studio at Meredith Bay, a center for dance and performing arts in Meredith, NH.